Arpitanian black metallers Enisum from Susa Valley (Val di Susa) in Italy have revealed the first details of their upcoming full-length album entitled “Arpitanian Lands“. It will be released on November 2015 via the Italian label Dusktone in digipak edition CD. “Arpitanian Lands” is an album dedicated to the Enisum native lands, originally named “Terre Arpitane”. Lyrics and themes are mainly describing the inner nature of those ancient lands: animals, woods, rivers and mountains. 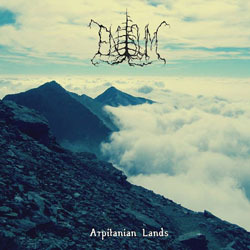 “Arpitanian Lands” is an evocative album with powerful deep meditative and ambient parts. There is a sense that Enisum have an ineffable control over their plethora of techniques and ideas. A shining gem in a mire of half-hearted records, “Arpitanian Lands” grabs you by the throat and doesn’t let go until the final creak. Of course this new Enisum album is again dedicated to all Cascadian and post black metal lovers out there. The band has already unveiled the cover artwork, album tracklist and the opening track that you can listen in their label’s official Bandcamp page below.